NOTE: This is a coalition petition for NGOs (non-governmental organizations), so please have it signed by someone who is authorized to represent your organization. This year’s United Nations climate conference, COP23, will start making plans for how the world will meet the goals of the 2015 Paris Agreement — to limit global warming to 2.0 C, and 1.5 C if possible. The nuclear industry is lobbying countries to adopt nuclear power as part of their climate action plans. Ultimately, the industry’s goal is to get its hands on the $100 billion/year Green Climate Fund to build new reactors around the world. We cannot let this happen. 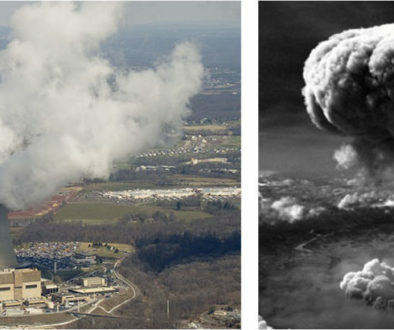 Nuclear power is too expensive and too slow to be of any help in rapidly reducing and eliminating greenhouse gas emissions, and it is dirty and too dangerous in its own right – contaminating the environment, destroying precious water resources, and violating the human rights of indigenous peoples, women, and children throughout the world. To mitigate the impacts of global warming requires a carbon-free, nuclear world – powered by 100% renewable energy – adherence to principles of climate justice, and protection of human rights. The Don’t Nuke the Climate campaign is an international coalition that has been mobilizing since COP6 in 2000. At COP21 in Paris two years ago, we delivered a petition signed by 500 organizations from around the world — and this year, our goal is to have many more. If your organization is going to be in Bonn for COP23, please let us know! We are planning and participating in a bunch of events, workshops, and actions, and we want you to join us! You can find more information about the campaign, the nuclear threat to climate justice, and the Green Climate Fund, on our website and social media feeds. Please follow and share! 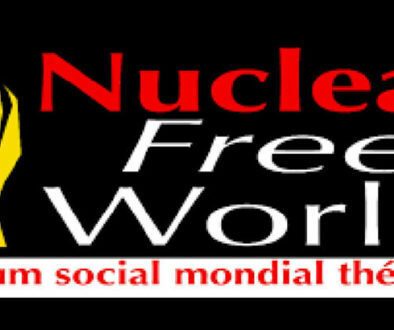 Call on your country to support the new UN initiative for nuclear disarmament	Note d’information sur le premier Forum Social Mondial Antinucléaire Civil et Militaire, tenue du 2 au 5 novembre 2017 à Paris. 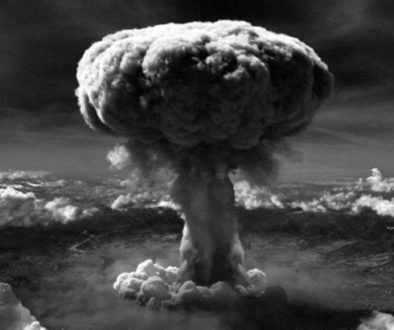 Call on your country to support the new UN initiative for nuclear disarmament	Nota de informação sobre o primeiro Fórum Social Mundial Antinuclear Civil e Militar, realizado de 2 a 5 de novembro de 2017 em Paris, França.